Morning Motivation — Are you connecting? Do you remember the last time you made a true connection—with someone or something or some idea? It had magic in it! Connecting creates power. If you don’t connect to something you will never care about it. If you don’t connect to someone you will never care about him or her. If you don’t connect to your self you’ll never know your self. If you don’t connect to what you’re creating you will never create it. Truly connect to yourself and to everything and everyone around you. No agenda. Not wanting something. Just true connection. Connection is key. 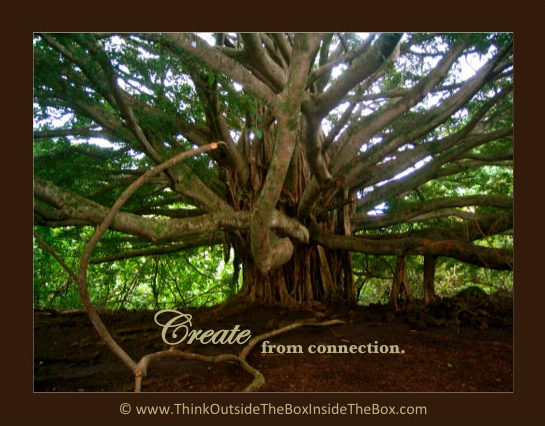 Connect to create.